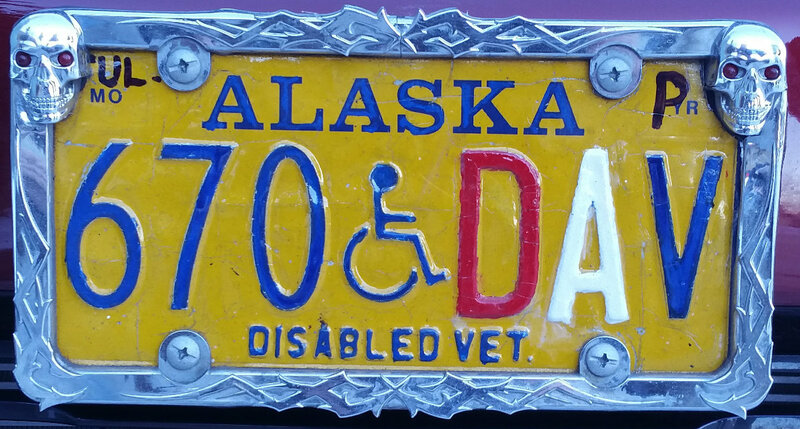 I'd honestly never seen an Alaskan plate with alternate colors for any letters/numbers. (This is the front plate; the back plate has stickers that match the hand labeling on the front plate) Thank you for your service! 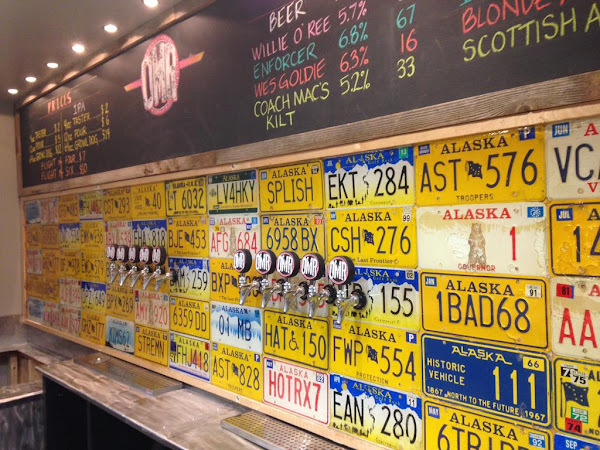 Some great Alaskan license plates at Odd Man Rush Brewing, a new brew pub opening in Eagle River, Alaska. In case you were curious why I'd been posting less often. Been a little busy! Alaska House Bill 19, authorizing the Alaska DMV to create six new license plates, has headed to the Governor for approval. 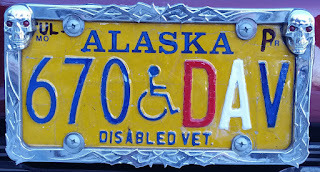 * United States flag "In God We Trust" plates. * Lao veteran plates (for US military service in Laos from February 28, 1961, and May 15, 1975). * Plates commemorating the National Rifle Association. * Breast cancer awareness plates. 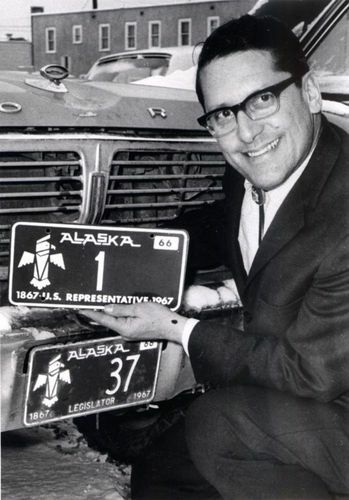 In this photo, then state Legislator Howard Pollack, who passed away Sunday, is shown getting ready to swap his 1966 Alaska state Legislator plate for a 1966 Alaska US Representative plate. For plate buffs, a terrific shot! 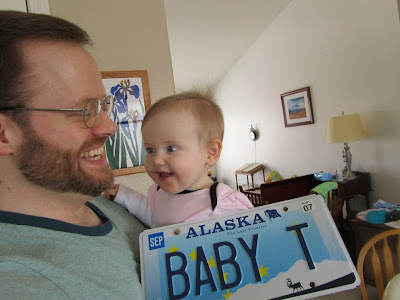 Coming soon: Alaskan Firefighter/EMT license plates. I'll update with a photo of the artwork when I get it.